Busy lives and the openness to internet shopping in metro cities have given rise to a ton of business opportunities for budding entrepreneurs to make money online from home. One such opportunity is to sell vegetables online in your local area. Though on the surface it may sound difficult because the industry demands quick operations and fresh deliverables, it’s still possible to cope with the industry expectations and consumer demands. The highlight of this business opportunity is that there are minimal costs associated and you can secure decent profits. 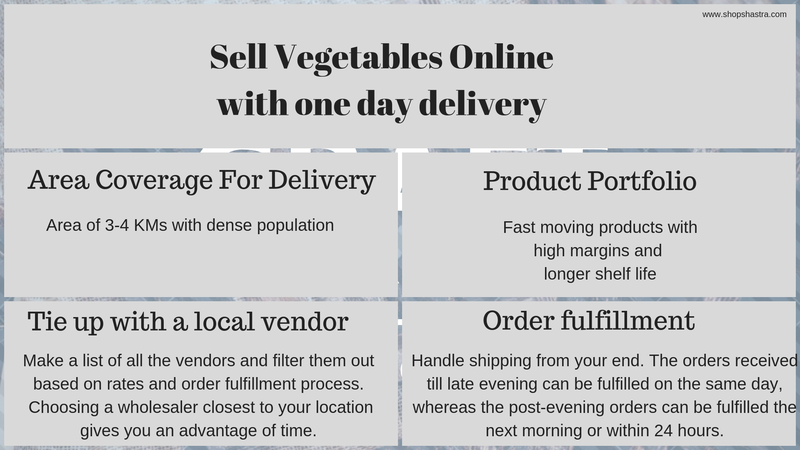 Here’s how you can sell vegetables online with one day delivery. A lot of variables come into the picture when you’re to set the area coverage for delivery. Take into account the population of the area, labor, delivery time, and weight of the order. Dense population means you might want to keep your coverage area small. However, unlike in the traditional business model, you can set scale up delivery coverage to 3 to 4 KMs even if the area is densely populated. But initially, it’s better to start small and bear in mind it as a trial and error process. Understanding the sweet spot of getting to a decent addressable population may take some time. With about 15-20 fast moving vegetables, you’re likely to get confused what vegetables to choose to sell online. The best approach to this step is to select vegetables which are not only fast moving but also more profitable and have longer shelf life. Onions, garlic, potatoes, carrot, apples, and beetroot are some which secure a fairly decent margin. With time when the operations settle down, you can add vegetables with shorter shelf life too. 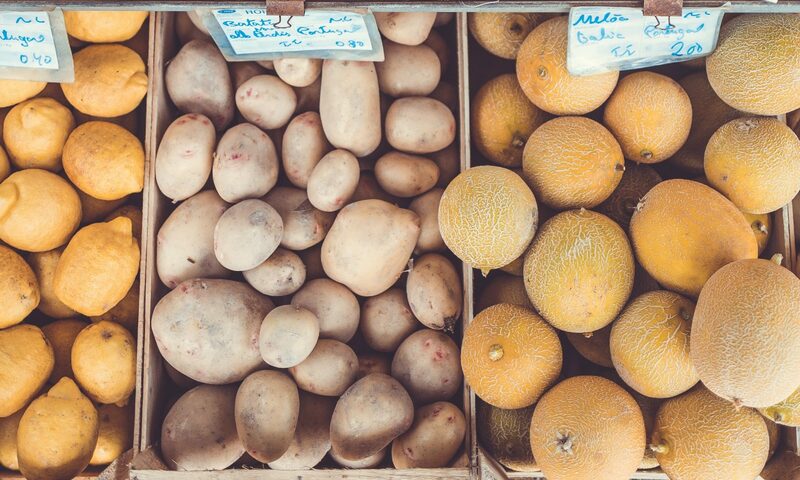 Tying up with a vegetable vendor is the most important decision you’re going to take for your business. You can begin searching on Google with keywords like “Vegetable wholesalers near me” or “Mandi Bazar”. Make a list of all the vendors and filter them out based on rates and order fulfillment process. Choosing a wholesaler closest to your location gives you an advantage of time. After filtering out the vendors, you’ll have a handful number of wholesalers on your list who will complement your business demands. There are two ways you can fulfill orders. A model similar to dropshipping, you can have your vendors fulfill orders on your behalf. But in the majority of cases that’s most unlikely to happen as they lack technical know-how. Also, with this process, your profit margins will be at risk. Another approach to fulfilling orders to your customers is to handle shipping from your end. The orders received till late evening can be fulfilled on the same day, whereas the post-evening orders can be fulfilled the next morning or within 24 hours. After receiving the orders for the set time frame, you can ask your wholesaler to keep them ready for dispatchment. Later, you can have your orders delivered in the next few hours or within 24 hours from the wholesaler. At first, you may have a few hassles in the order fulfilment process. But over time it’s likely to get flat and smooth with repeated orders coming every day. When the blueprint for product portfolio and order fulfilment is set, the next step is to start setting up your eCommerce website. For a website selling vegetables, there a few things to consider before your customize and start marketing your store. Delivery Area: Display on the header (above the fold content) that you’re taking orders only for the chosen area. Payment options: COD payment option is loved by many. Though customers may know you personally, they’d prefer COD. 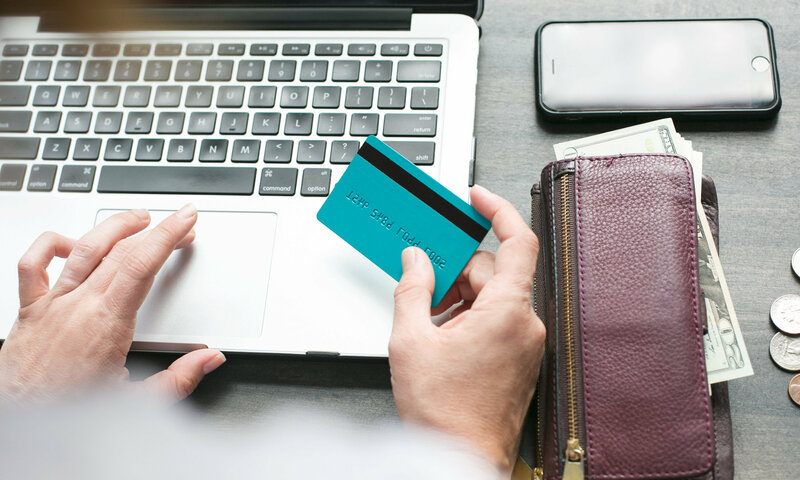 So, beside from bank transfers and plastic card, keep the payment options open to your customers to improve the odds of a sale. Post setting up the store, it’s quite obvious that you’ll be waiting for orders. But the job is still half done. You need to market the store to get some eyeballs and increase awareness of your store. The good part, however is that you know your target audience and you don’t have to spend a lot on marketing your store. When your store goes live, make sure you start distributing flyers in your area. The flyers must communicate your offerings along with the time frame. You can start with at least getting 1000-1200 flyers distributed. This will drive people to come to your website. Once they know that you have your business locally, they might want to buy from you instead. Eventually, when you start getting traffic and orders, you can tap the uncovered areas in your targeted radius. Parallel to offline marketing, you can start promoting your store online on Google. A lot of users look for vegetables online. Google allows you to run ads geographically even by setting your preferred location. You can choose the radius and people looking for vegetable online will be shown your ads. At the beginning for a few months you may be required to run ads aggressively to create awareness. Once your awareness is generated people will look out for your stores and you can lower your budget. The biggest advantage of a local business is the repeat business they generate over the period. It may take some time until you get your first order. But the magic is if you’ve successfully delivered your first order, you can expect repeat orders every month. As the saying goes one brings two, and two bring three…. When your operations settle down you can scale up your business by expanding your coverage or maybe introduce a new line of products like dry fruits, and gourmet products.